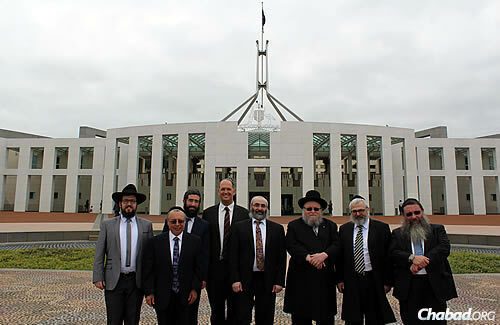 Far from the established Jewish communities of Melbourne and Sydney, Canberra—the capital of Australia—doesn’t often see many visiting rabbis. It’s even rarer for there to be enough of them to form their own minyan, a quorum of 10 Jewish men needed for public prayer. 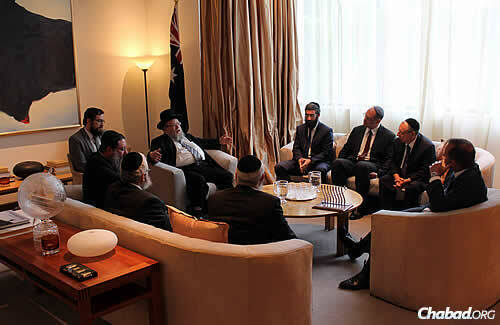 But that’s exactly what happened last week, when representatives of ORA (Organisation of Rabbis of Australasia) converged on the capital to meet the Australian prime minister, the Hon. Tony Abbott MP. 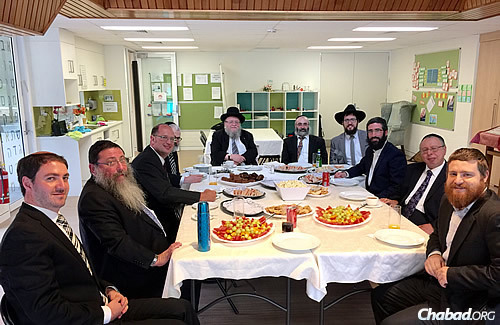 At the meeting, Rabbi Shmuel Feldman, co-director of Chabad Australian Capital Territory in Canberra, was joined by his colleagues from the states of New South Wales and Victoria. 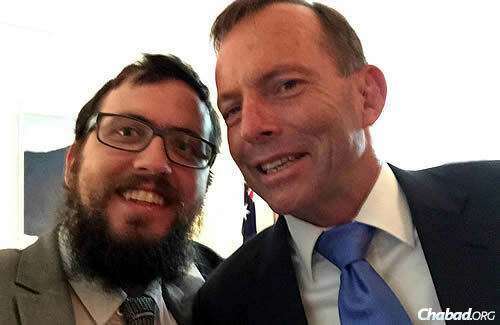 The president of ORA, Rabbi Meir Shlomo Kluwgant, thanked the prime minister for his ongoing and unwavering support of Israel and the Australian Jewish community. 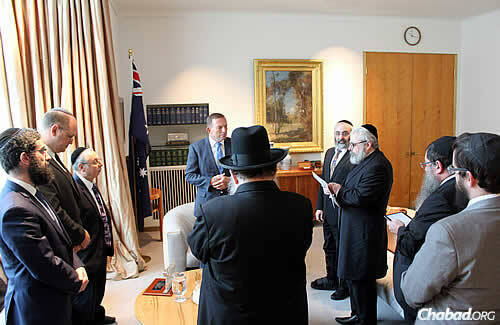 They also said a prayer with Abbott present. 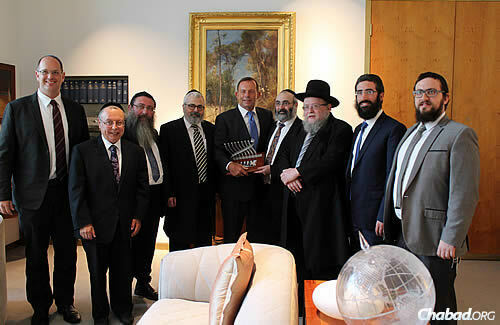 As a token of appreciation for his support, the rabbis presented the premier with a menorah. The rabbis then continued to the local Chabad headquarters for lunch, where they took the opportunity to discuss halachic issues—issues in Jewish law—facing their communities.